Immaculate and well maintained home located across the street from hole #11 in Yellowstone Country Club Estates. 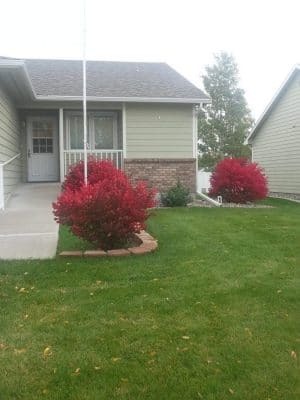 Beautiful 4 level home with 3 bedrooms, den/bedroom in basement, 2 1/2 bath. New paint inside and outside, carpet, kitchen, bathrooms, and laundry room all updated last 4-7 yeas ago with laundry room floor one year ago. New air conditioner 4 yeas ago. The house has a hot tub, landscape lighting, under ground sprinklers, with bubblers for shrubs and flowers, central vacuum system, attic fan, storage and garden shed. Wired for security system. Master bedroom has bay window with gorgeous view of sunset. Enjoy view and total privacy in the hot tub. Bike and hiking trails right out your back door.